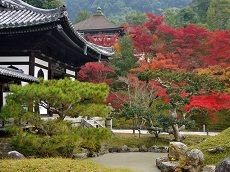 Kyoto was Japan's capital and the emperor's residence from 794 until 1868. It is now the country's seventh largest city with a population of 1.4 million people and a modern face. 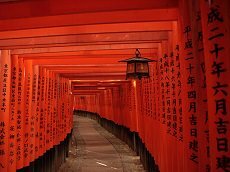 Over the centuries, Kyoto was destroyed by many wars and fires, but due to its historic value, the city was dropped from the list of target cities for the atomic bomb and spared from air raids during World War II. Countless temples, shrines and other historically priceless structures survive in the city today. 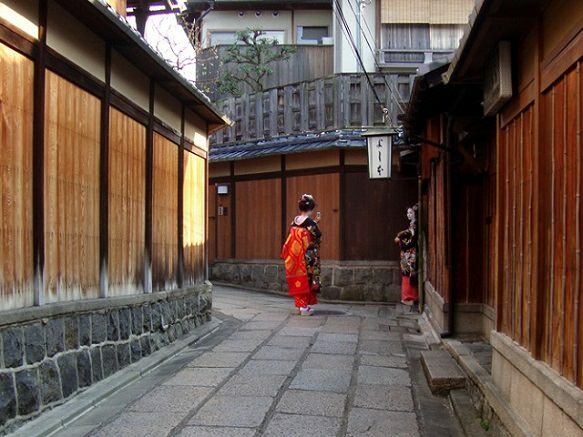 There remain many temples and shrines in Kyoto that were built during this long period. 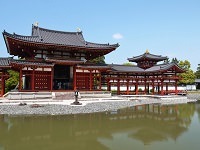 Seventeen historic sites including, Kiyomizu-dera Temple and Nijo Castle, are inscribed as World Cultural Heritage Sites. 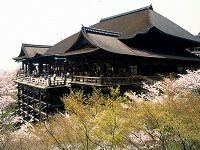 Kiyomizudera is one of the most celebrated temples of the country. It is best known for its wooden stage that juts out from its main hall, 13 meters above the hillside below. The stage affords the visitors a nice of the beautiful cherry blossom and maple trees that bloom below. Nijo Castle was built in 1603 as the Kyoto residence of Tokugawa Ieyasu, the first shogun of the Edo Period. After the Tokugawa Shogunate fell in 1867, Nijo Castle was an imperial palace for a while before being donated to the city and opened up to the public as a historic site. 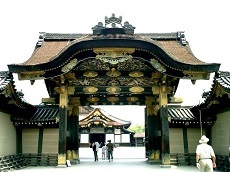 Its palace buildings are arguably the best surviving examples of castle palace architecture of Japan’s feudal era. Both Kiyomizudera and Nijo Castle have been on the UNESCO world heritage site since 1994 for its beauty and historical significance. 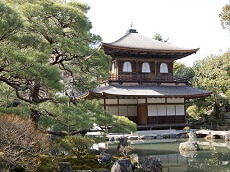 Kinkakuji is another famous Zen temple, whose top two floors are covered in gold leaf. Kinkakuji was built to echo the extravagant Kitayama culture that developed in the wealthy aristocratic circles of Kyoto during Yoshimitsu's times. Each floor represents a different style of architecture. 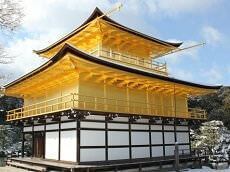 This beautiful Golden Pavilion is a must see of the temples when in Kyoto.